Terrain file made with World Machine for the Terragen program. Size 513x513. Has terraced mountains and a large beach area. Corey Ford (7 years ago) Inappropriate? Install in your Terragen terrain files in your program files in your C Drive of your computer. 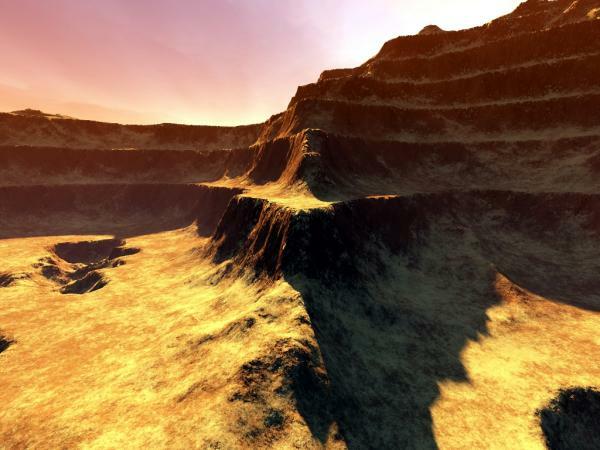 Open up your Terragen program (free on the Internet) and load it as a terrain. syedady (7 years ago) Inappropriate?